What does an employer need to know about New Hampshire disability insurance? Protecting your productive employees as an asset can prove instrumental in your business’s success. Losing an employee to an injury or illness, even for a short period of time, can have a huge impact on both your business and on the disabled employee. An employee’s ability to earn a living is his/her greatest asset and business disability insurance can help protect this asset. 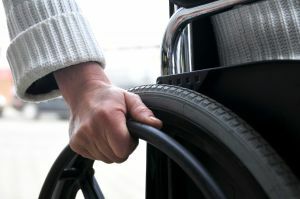 Group disability insurance is coverage that provides employees with a percentage of their income (usually 60% to 66.67%) in the event that they become disabled because of a non-work related illness or injury. By providing them with NH disability insurance that will pay them part of their salary when they are temporarily disabled, you allow them to recover without the added burden of struggling to pay their bills and support their families while they are unable to work. Disability insurance is another aspect of the employee benefits package that your employees will appreciate. In addition to Nashua, NH, where our office is located, we are proud to provide disability insurance in Hudson, Hollis, Brookline, Litchfield, Amherst, Merrimack, Bedford, Manchester, Milford, Concord, Goffstown, Derry, Salem, Londonderry, Windham, Wilton, Mont Vernon, and throughout the state of NH. If you’re in need of disability insurance, whether for yourself or your employees, give us a call today at 603-882-2766, or submit our online quote request form.